The Championship is over for another year with the title finally handed to Chris Tyquin and his Goa/Nova 106.9 crew after an intense battle with local rival Synergy. Going into the last race both Synergy and Goa were equal on points. With the lead swaping between the 2 of them up to 5 times throughout the race It was Goa who finally crossed the finish a mere 10 seconds ahead of Synergy in what must be one of the hardest fought Nationals in some time. ‘Championships like these are not won just by steering the boat. You need a solid team in front of you which we are very lucky to have,’ said Tyquin. 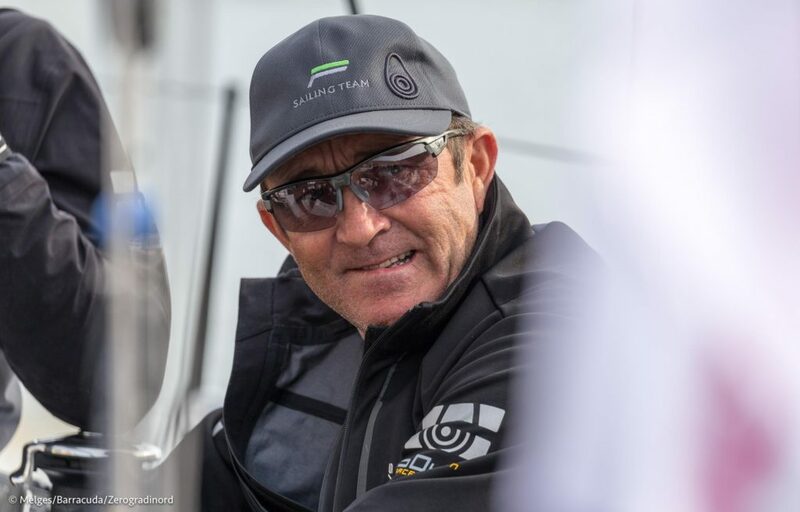 Tyquin sailed with a highly regarded crew which included Australian Sailing Team Technical Coordinator and current Rolex Sydney to Hobart Yacht Race winner (Secret Men’s Business 3.5), Michael Dunstan. ‘Eveyone really stepped it up for the Australian Championship especially the Synergy crew. It was great close racing and they pushed us all the way. It was a brilliant to be sailing with Chris (Tyquin) and his mates and we’re proud of what we achieved,’ said Dunstan. Alex Douglas, owner and skipper of Synergy was leading Goa going into the last day of racing. The withdrawal of Goa in race eight after an ‘incident’ may have started the Synergy crew thinking they had the title, but a strong fight back from GOA sealed the deal for the 2011 regatta. The Synergy crew included two time Farr 30 World Champion Darren “Twirler” Jones who offered one of the best prizes of the regatta. For the first time the Farr 30 Australian Corinthian Championship was awarded with Jon Drummond owner and skipper of the Gladstone based boat Loco securing that championship. The prize on offer, which was only announced at the presentation, was a day’s coaching with Jones. The media frenzy surrounding the arrival of the Townsville based Farr 30 Guilty Pleasures III didn’t put these enthusiastic sailors off their game. A Channel 7 helicopter news crew captured the boat ‘sailing’ down a flood infused highway with the keel and bulb creating a decent sized wave break along the way. The footage made its way into a Channel 7 promotional commercial and the image of them battling the elements before racing even began went viral on the internet. The Farr 30’s will rack up again in the Queensland Cruising Yacht Club Brisbane to Gladstone yacht race and then the Queensland IRC Championship on the 28-29 May at Royal Queensland Yacht Squadron.